Punjab Safe Cities Authority is a really a good decision of our Chief Minister Mr. Muhammad Shahbaz Sharif is started with the Punjab Safe Cities Ordinance 2015 and the PSCA is launched first time in the Lahore Division in October 2016 and the head office is located in the Jail Road, Iqbal Colony, Qurban Lines, Lahore the project is completed of the cost of 12 billion rupees and the next PPIC3 centers was established in the other large cities of the Punjab province including Faisalabad, Gujranwala, Rawalpindi Sargodha, Bahawalpur and Multan the constructions work is continued in these regions the announcement in February, 2017. Punjab Safe Cities Authority latest jobs career recruitement information in Lahore office Pakistan. PPIC is stand for Punjab Police Integrated Command, Control and Communication and the main purpose of changing the Punjab Police Culture by making this fabulous system you know that what inside’s it is a totally secure plan for the people it was installed the camera’s in these places where a lot of population like hospitals, schools, colleges, universities, bazaars, big markets, roads, VVIP routs, bus stand, sabzi mandi and saint tomb by under the surveillance of Police and it was used those videos for evidence for any emergency situation as that the team work of Fire Brigade, Health and Rescue 1122 Emergency Service is more than easy and we are giving the best peaceful environment to the whole community. 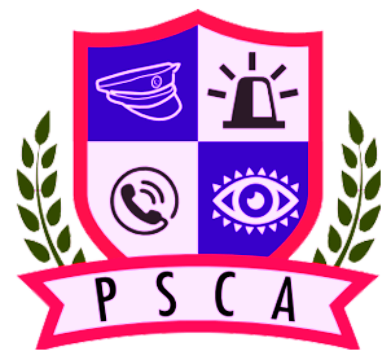 you can download more information about PSCA official website www.psca.gop.pk. The program is provide the huge infrastructure secure security system and reduced the crime ration of 20 percent and used this electronic evidence. Now a time 2000 locations are selected for installation of the camera in the Lahore and more than 10,000 is early soon running position and the whole control is Police to view each time for security purpose and need of hundred IT (Information Technology) professional those all the time is checking and maintain the high technology of PPIC3 and soon the centers given him the latest information about intelligent and the other crimes of the Pakistan. The contact details of Punjab Safe Cities Authority are listed below.. The moto of Punjab Safe Cities Authority is “Beginning of a new Police Culture” In Case of Any Emergency, Call Us at 15 and Register Your Complaints.